Counter Top Acrylic Mirror 7" x 5"
A small slightly slanted counter top acrylic mirror. 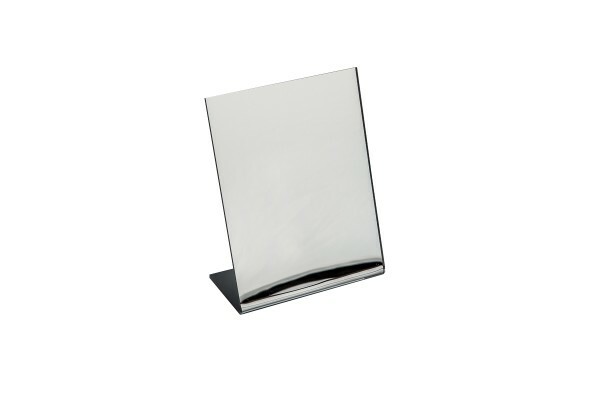 Dimensions: 7.0" H x 5.5" W x 2.5" D. Perfect to use on top of jewelry display countertops. Light weight, impact resistant and easy to clean using only soap and water and a damp cloth.